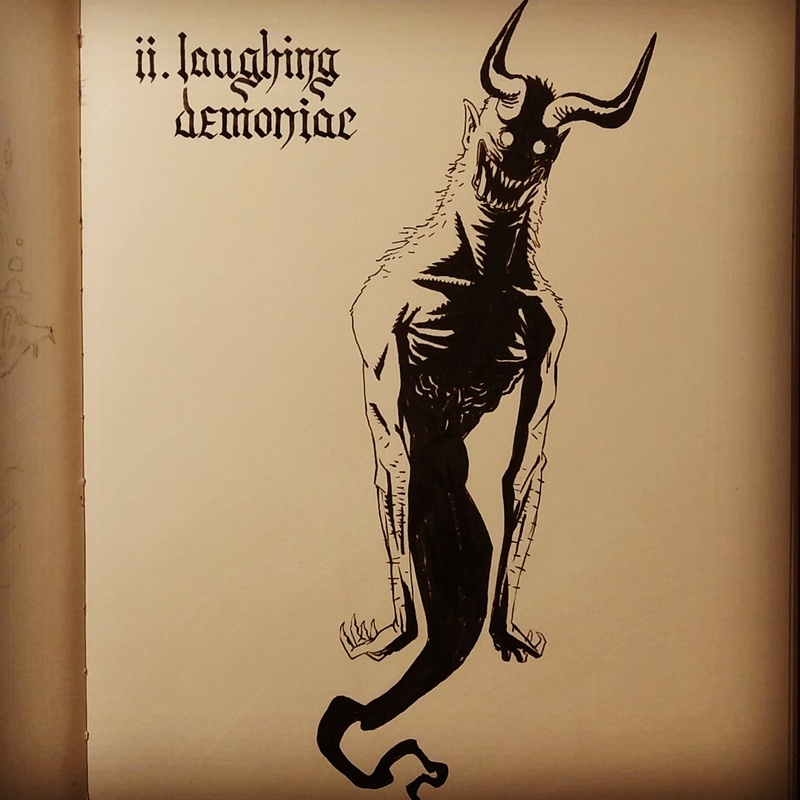 Commencing dump of Inktober stuff so far! 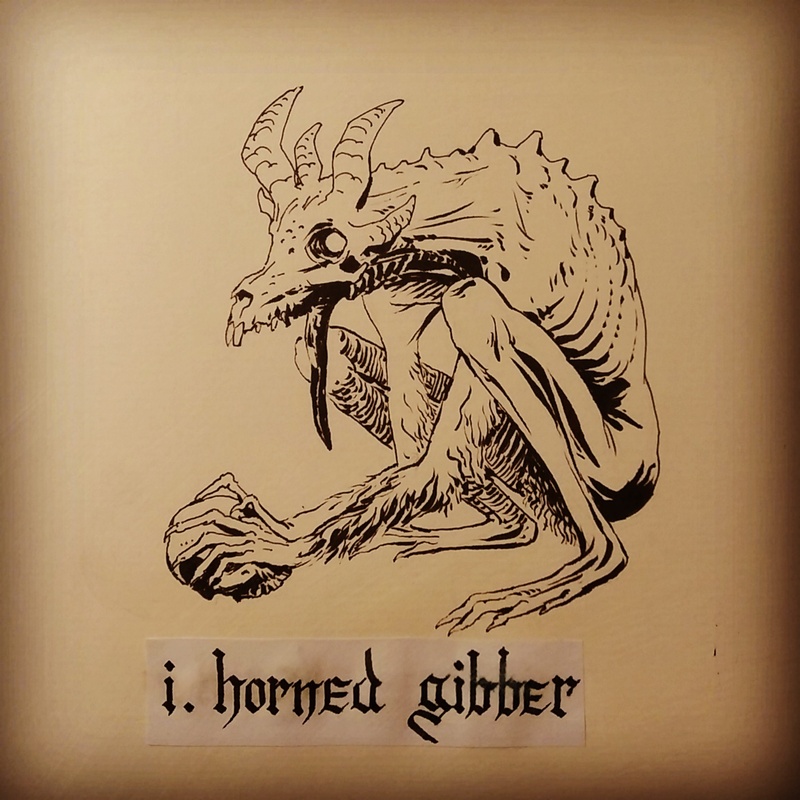 “Not to be confused with the more treacherous Greater Gibber, this carrion feeder of wiccan origins is rather lame and skittish. “An uncannily frightful visage, none living have witnessed this unlikely possession, although the reason is not as you guess, dear reader. This spirit does not, by accounts seem particularly malignant. “In one of my outings through the country, I took shelter from storm inside the barn of a pleasant township. Atop that barn perched the most uniquely peculiar artefact, a chimeric stone gargoyle! 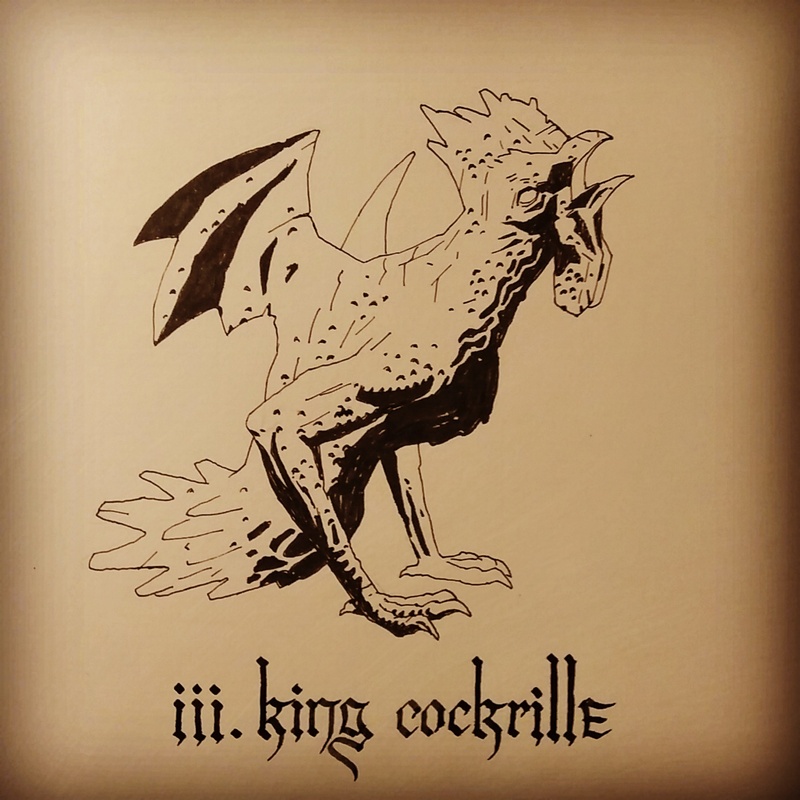 My enthusiatic enquiry was fulfilled by my host: this ‘king cockrille’ is a ward handed down from an antiquated age long since passed. Supposedly, when the moon has waxed gibbous, this sentry arouses to guard against the baleful forces, and in the morn at daybreak, declares his victory with a vociferous cry. “A carrion feeder even more vile than the usual, although harmless, the muculent grotesque mass is so repugnant I can scarcely describe. 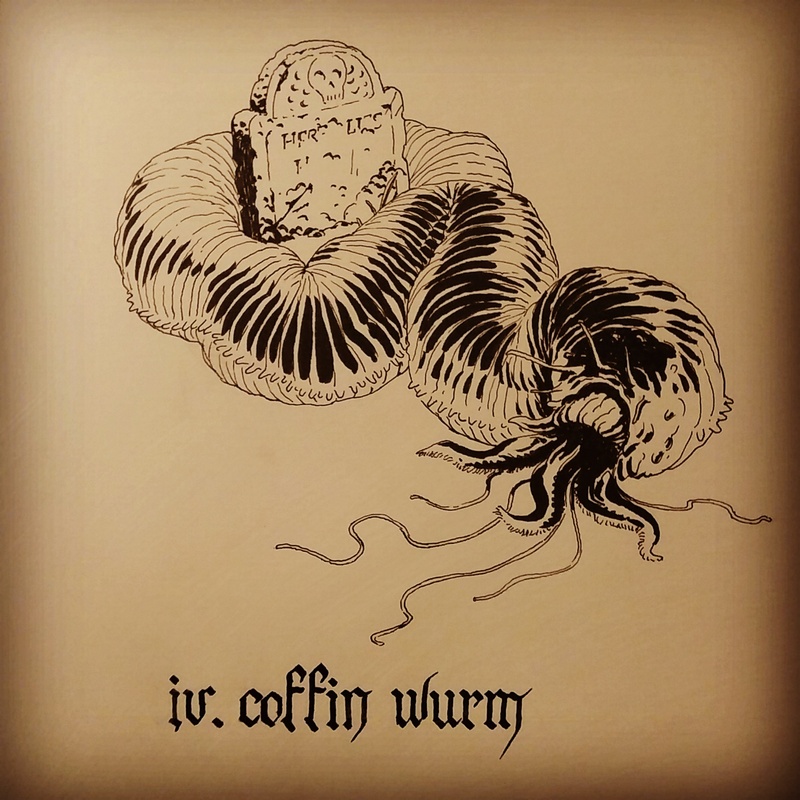 There is a more woeful aspect to this creature as discovered by one Professor Carter, who was a connoisseur of all things strange: one such wurm was unwittingly unearthed during the exhumation of a village grave plot. The wurm revealed inside the coffin was no common one, for it was inert and its rind hardened into a crust, akin to the pupa of a beetle. Professor Carter promptly arranged for the curio to be transported to his collection house, as the news had no doubt spread quickly by the cemetary workers, words about a ‘bad omen’. It was thought that Professor Carter had shut himself up with the item in order for his enthralled studies, but it was found by an acquaintance some several days later that the Professor was absent. Nobody has seen nor heard from him since. 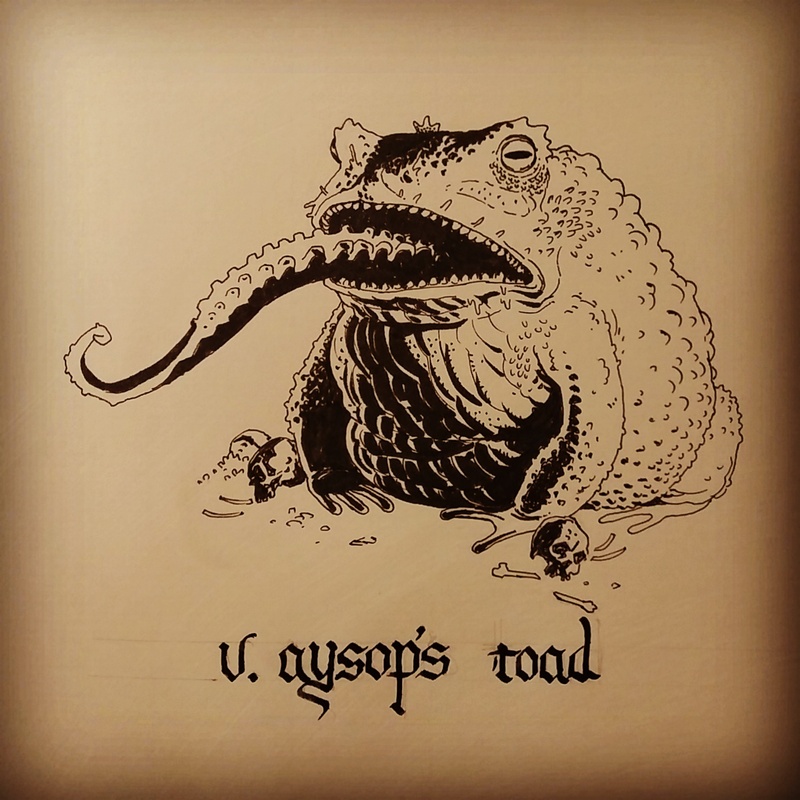 “When man was dawning upon this land, the toad was already chancellor of the water. The maker saw that this was good and made it so. The maker thought that this was fine and made it so.